Hey, it was free. Who could say no? 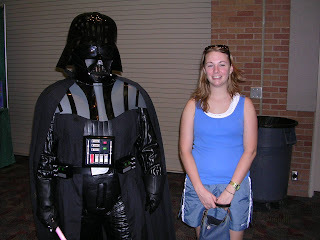 Dorian, his friend, Frenchy, Dirk, his kids, and I went to the Star Wars Fan Days at the Plano Centre this weekend. The stars of the movie were there. You could get their autograph for $30. There were characters walking around, including an Elvis Storm Trooper. Then there was the usual junk to buy. It was a fun way to kill an hour. 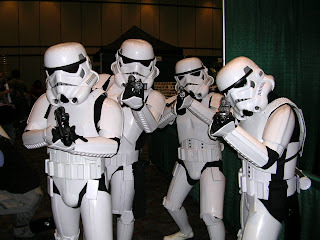 Watch out for the Storm Troopers! 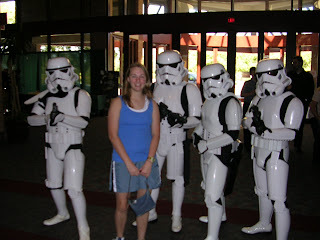 Blurry pic of me with the Storm Troopers.